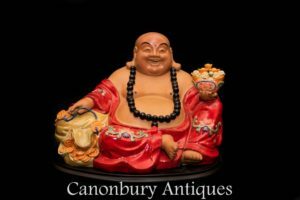 – At just under two feet tall good size to this and he’s heavy! 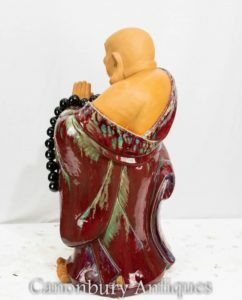 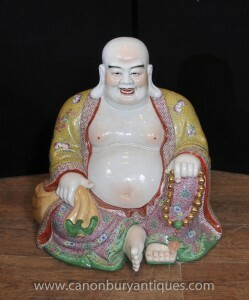 An attractive Chinese Wucai style figurine of a male Buddhist character. 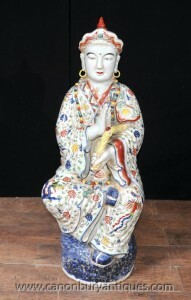 The large hand-painted figurine is made of porcelain material. 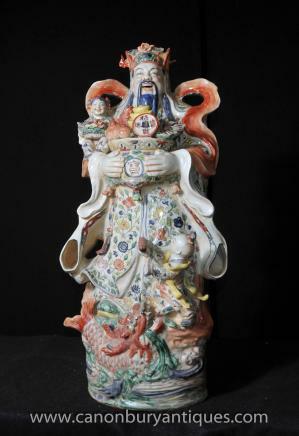 The figurine shows man flanked by smaller porcelain children.